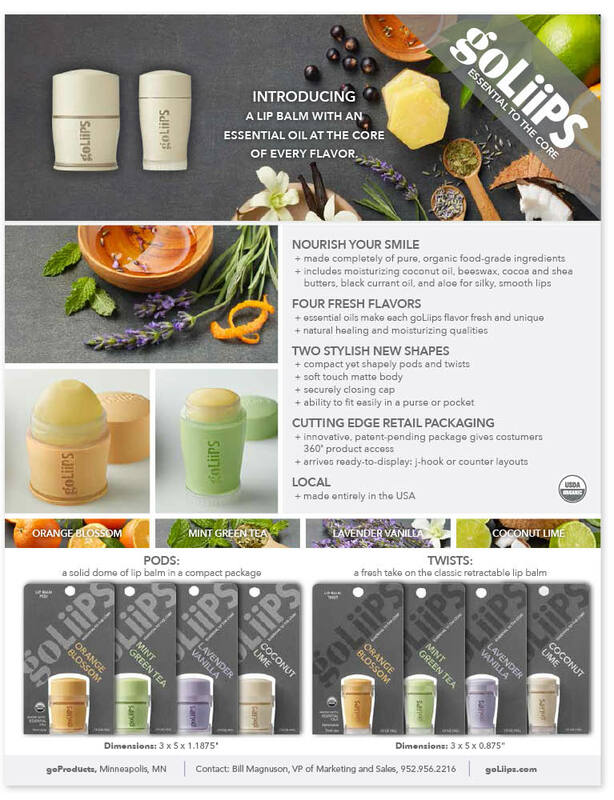 goLiips is a brand new lip balm that has brought a completely reengineered product, from inside out, to the category. 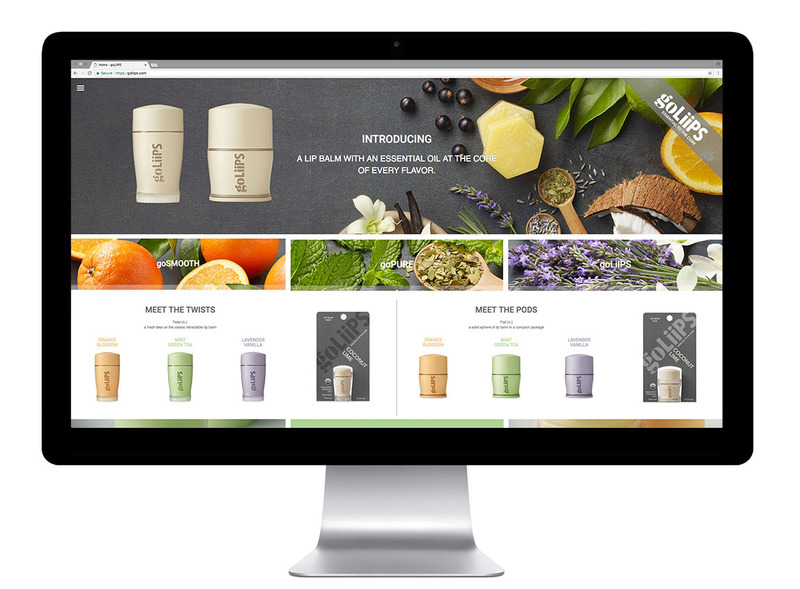 Inside, the goLiips’ formula was created by a certified dietician with all organic food-grade ingredients, including essential oils, which inspired the tagline “Essential to the Core”. Outside, the containers are completely different from anything else on the shelf and function with precision. ThinkDesign Group develop the company’s brand strategy, identity and color palette, as well as the packaging, website and sales materials to break into the retail brick and mortar and online marketplace.